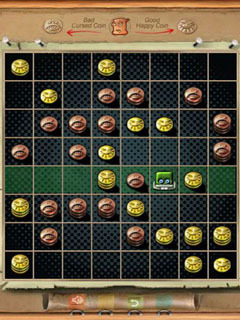 The object of the game is to collect as many good coins as possible avoiding the cursed coins. 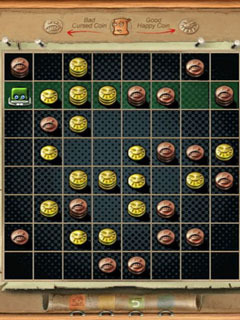 The player controls the chip when it's green. 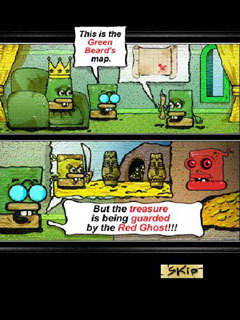 In the next turn, the player�s red evil alter-ego takes control of the chip and moves it in its own way. 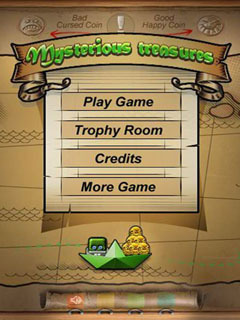 And, by the way, the first rule of the Mysterious Treasures is: You do not talk about Mysterious Treasures. Have fun.